Atari is publishing an upcoming first-person, adventure-horror game, Haunted House: Cryptic Graves. 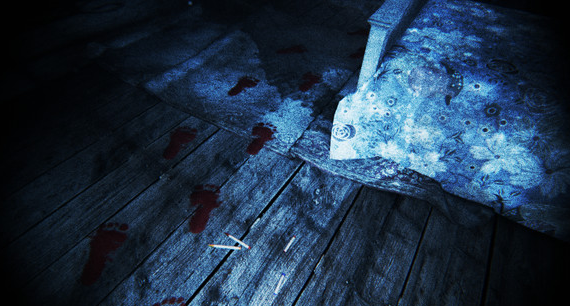 The player must solve difficult and mysterious challenges and puzzles, in order to complete this frightening game. The player will come across different supernatural entities and experience paranormal activity throughout the game. You have the gift of psychic powers, and you must use your abilities to purge the horrifying monsters that you will come across. Prepare to be terrified. The game was developed and designed by Dreampainters. Dreampainters also created the "critically acclaimed survivor horror game, Anna." Haunted House: Cryptic Graves was written by award-winning video game writer and comic book creator, Gordon Rennie. Rennie was also the scriptwriter for the well known Killzone series. Rennie is an experienced writer, and players should be excited for having such a skilled writer working on this game. The creepiest aspect of the game in my opinion, is the graphics. The designers of Cryptic Graves is taking this games graphical expectations to an entirely new level, making them look not only amazing, but add a real sense of suspense to the game. Cryptic Graves will take the player to Abaddon Grange Estate, which is infested with alarming incidents, and several frightening spirits. Players must use their abilities to communicate with the dead to solve the puzzles and avoid traps set around the map, which are deadly. It is up to the player to craft the correct spells to destroy the terrifying ghosts. Everywhere you go, there is a new challenge in front of you to solve. It is your responsibility to discover the horrifying secrets that are hidden inside of Abaddon Grange Estate. You play as Anya Graves, and you are on a trip to visit the estate of Zachary Graves, who was a notorious occultist. Zachary Graves also was a collector for all things supernatural. As you continue to play through the game, you'll begin to unlock the secrets of the estate, and of course, your players powers will begin to grow in order to fight the evil you've awoken. Some of your powers include the ability to touch objects, and find information about the previous owners. You must do your best to avoid monsters such as Silent Stalkers, Jack the Ripper, Witches, and so many more. You will have the ability to explore different scary corridors and rooms within the haunted estate. Ancient catacombs, mazes, and secret laboratories will also be on the list of things you can explore. In order to survive, you must create formidable potions which consist of the four elements, these will help you explore different passageways and protect yourself from the spooky monsters roaming the hallways. Haunted House: Cryptic Graves will be available for download in Fall of 2014. It will be available on Steam for $19.99, but if you pre-order the game today, it will be on sale for $16.99. If you want to know what I think about the new upcoming horror game, I am personally excited. I believe that the graphics will make the game seem more alarming. This game will be worth every penny, and the I am hyped up for Haunted House: Cryptic Graves. Solving all of the puzzles is going to be difficult, but also fun. It seems as though Cryptic Graves is doing much more than adding jump scares to frighten their audience. Dreampainters is taking horror to a new level.